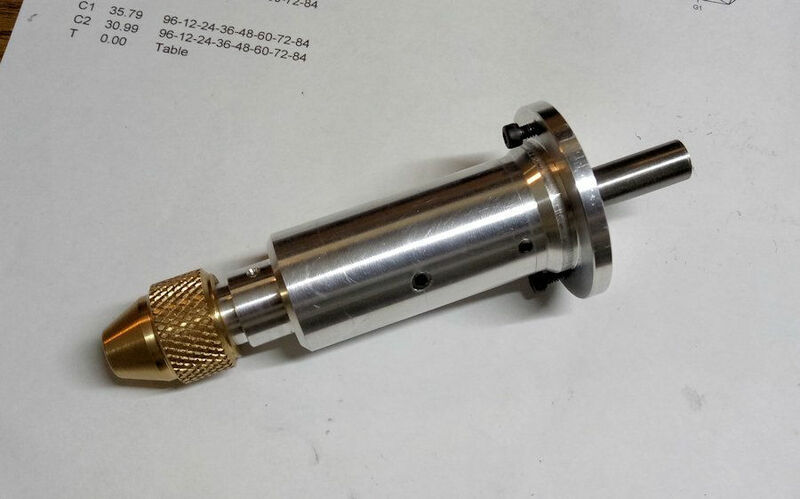 New quill for the 2000, beautifully made and now collet clamping, all I'm waiting for now is the new spring and I'll be good to go once more. Unfortunately not always unharmed. 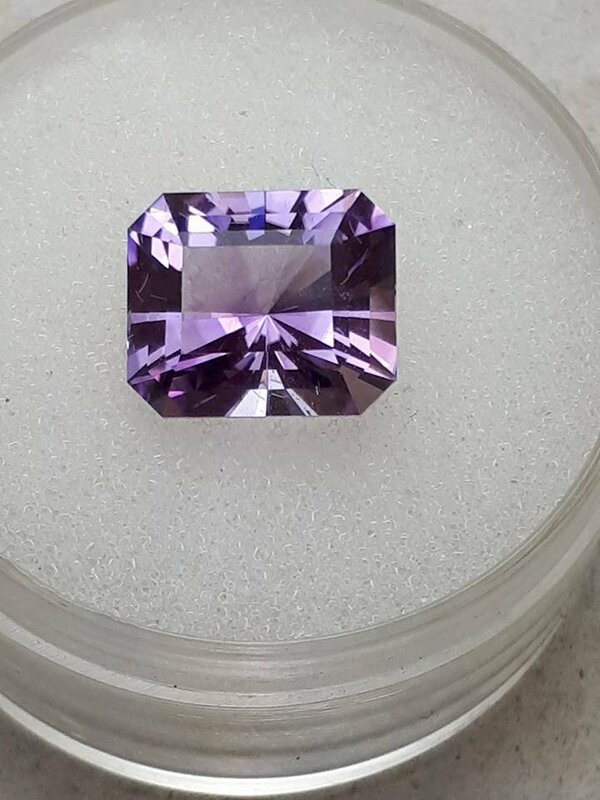 Last year went to re-polish a 2ct Lava Plains square cut sapphire after some heat treatment I had done. Somehow landed on the tiled floor with dop attached. Huge chunk of corner, gone. He's got a nice BMW Roadster for sale, could see you in it. 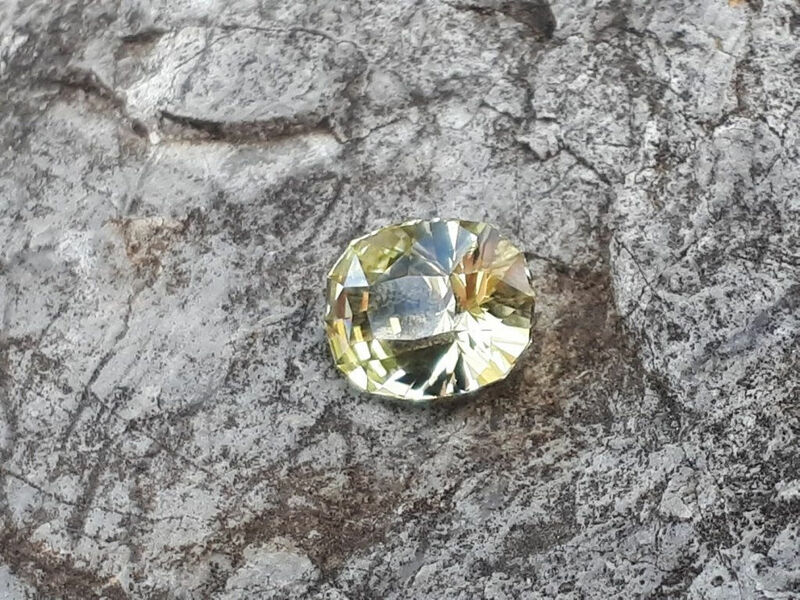 The only damage I've ever seen done to one was when a mate gave someone an 11 ct yellow (faceted) from his old lease - bloke took it outside to look at it in the sun and dropped it on the concrete while holding it in the grabbers, so it was sort of smacked between hammer and anvil, putting some little chips on it that are a little too big to polish out. Mmmmmm. It was certainly one of those 'you've got to be kidding' moments. I was surprised to say the least. Perhaps there were some internal stress's created by the cooking. But it was a big chip. Fortunately I had bought the original rough from Coolamon mining many years ago so the financial loss was not so impacting. 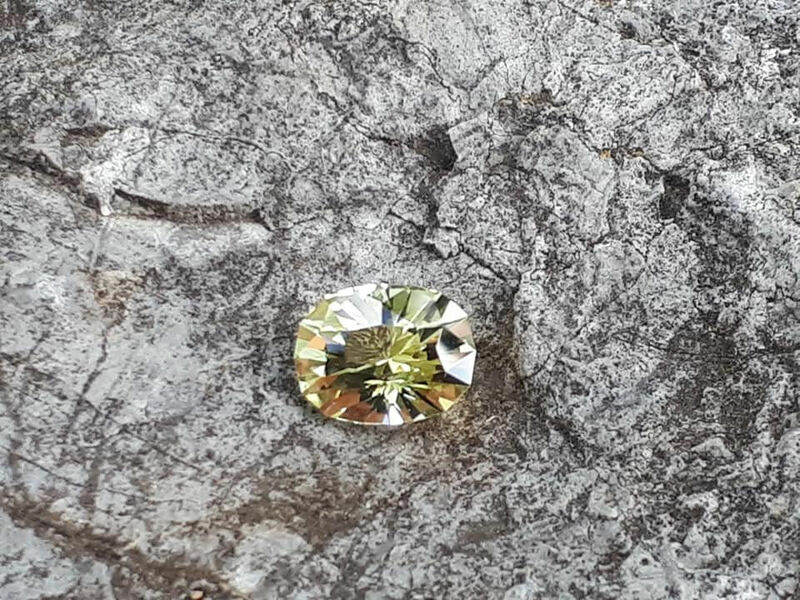 I'm sure your mate would of nearly been crying over such a beautiful stone getting smashed and the other bloke hasn't been invited back since I'd imagine. I've stopped handing mine over to be looked at unless they're in something, bag, box, whatever. All my old collection have been dropped on the conc by folks checking them out and then hearings "Ooopps, sorry!" Which is why I'm just getting rid of them. Nice little Rubyvale blue Cut in a bit more of a classical design than I often employ - I'm forever trying new things - but the rough suited it perfectly. 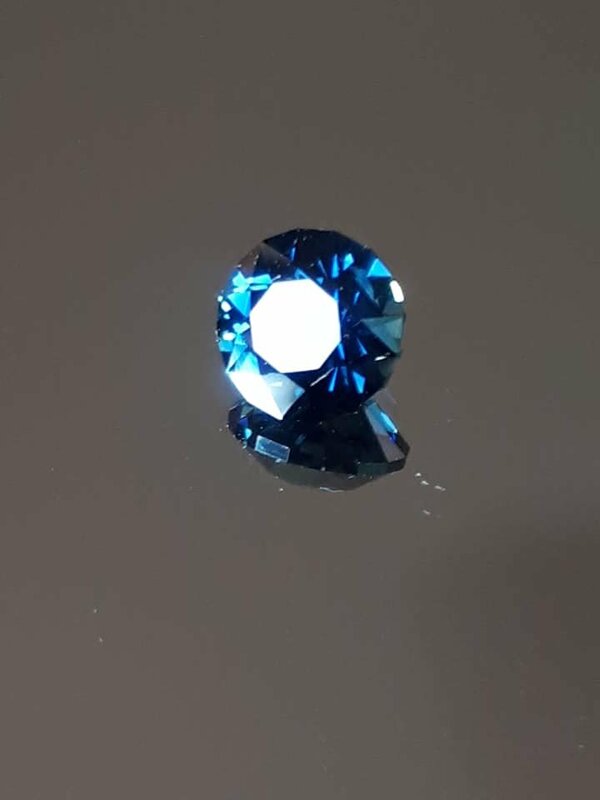 Not big at 0.85 carats but just about a perfect shade of blue with no darkness at all. Love that sapph mate, very nice. Cheers guys Still got a few more that should turn out similar, I'm hoping. There's nothing quite like beautiful sapphire blue. Another lovely one Lefty! Love your work! Hi Lefty, where do you source the small containers that you photographed some of your earlier gems in? Similar to this picture. 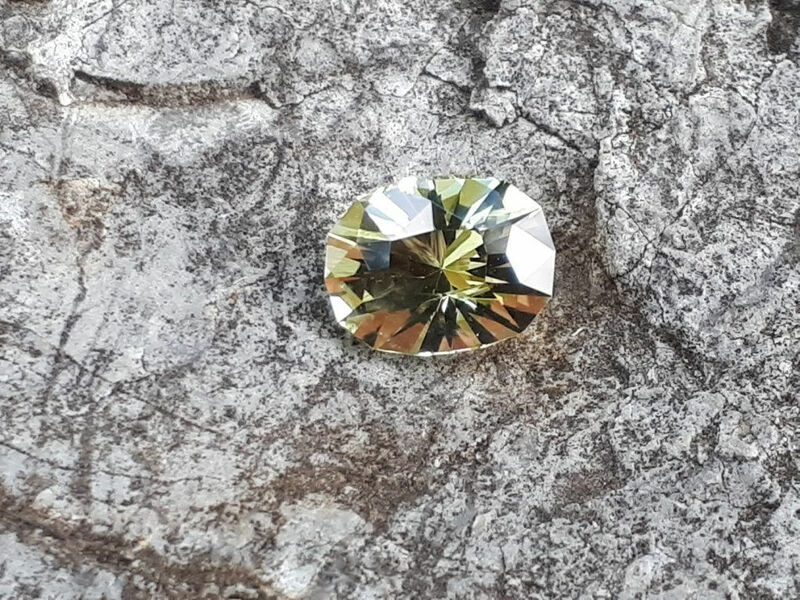 To the eye, this topaz is a nice champagne colour, very similar to Springsure labradorite, but brighter and more sparkly since it's topaz not feldspar. Beautiful..., Akhavan can produce some challenging designs and if they give you trouble on a VJ, no wonder I have a headache on my 2000 !